Spanish director Álex de la Iglesia's My Great Night (aka, My Big Night, aka, Mi Gran Noche) premieres tonight, but it's not Iglesia's first appearance at TIFF. Iglesia's scary clown movie / meditation on the Spanish Civil War, The Last Circus premiered at TIFF. 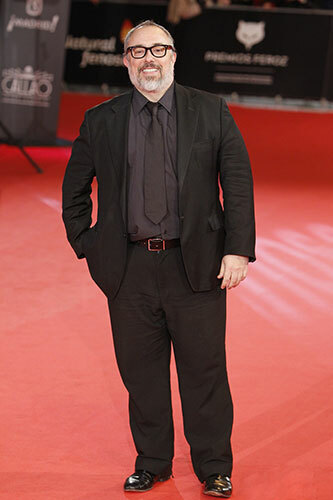 Since 1993, four of his films have played Midnight Madness: Accion Mutante (1993); The Day Of The Beast (1995); Perdita Durango (1998); and Witching & Bitching (2013). And Iglesia produced last year's harrowing Vanguard film, Shrew's Nest (2014), directed by Esteban Roel & Juanfer Andrés. Iglesia's films have won multiple Goya awards, Spain's national film award presented by the Academia de las Artes y Ciencias Cinematográficas de España. The first film Iglesia directed was his own short, "Mirandas Asesinas" in 1991. And then, Pedro Almodóvar produced Iglesia's Accion Mutante, giving Iglesia his first big break while simultaneously hurting the brains of at least forty cinephiles. (Hopefull,y they have recovered by now). 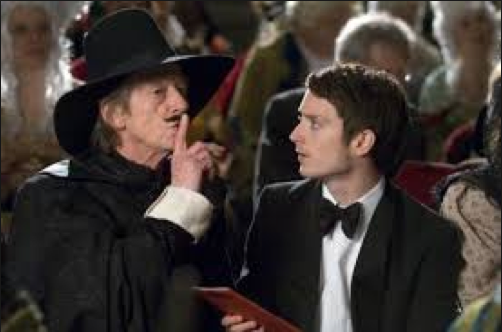 But while Iglesia's films have a unifying darkly comedic sensibility and a similar aesthetic, Iglesia has worked in a wide variety of genres from horror to an homage to Spaghetti Westerns, 800 Bullets, to a comparatively restrained thriller, The Oxford Murders (2008). Also, again, terrifying clowns. "Never mention the terrifying clowns, Elijah. Never mention Sammy Petrillo, either." And before he had even written My Great Night, he had released Dying of Laughter (1999), a dark satire about comedy duo, Nino and Bruno. They were very successful in the 1970s, but boy do they hate each other now. (If this seems familiar to you, maybe you're thinking of Martin & Lewis or maybe you saw it during the Iglesia retrospective at TIFF Bell Lightbox last winter. God help you if you're thinking of Duke Mitchell and Sammy Petrillo). And their envy and hate comes to a head at... a big live television extravaganza! Iglesia himself worked in television, early on as a production designer, and now as director, screenwriter and producer. He's done several shorts, including, "The Tragedy of Francisco Franco." And he even had his own television series, Plutón B.R.B. Nero (2008-9), in which having turfed the Earth, humanity seeks another habitable planet. So enjoy tonight's screening of My Great Night, and ponder how much of the film, which Iglesia both wrote and directed, comes from Iglesia's personal experience. I don't expect bumbling spacemen, mutants, Perdida Durango or even terrifying clowns. Well, maybe terrifying clowns. But there will be hilarity, amazing hair and the famous Spanish singer, Raphael. These ladies are ready. Are you?